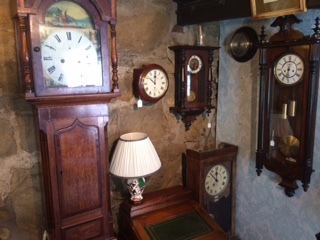 All types of repairs undertaken on antique and vintage clocks. If you are considering bringing your clock along please please ask our advice first! Transporting or even moving a clock the wrong way can cause serious damage which can be avoided with a little expert knowledge and care. NEVER BE TEMPTED TO OIL YOUR CLOCK – CLOCK OIL IS VERY SPECIALISED. Let us expertly ensure you clock is ready for the next 100 years. See below for our current projects for customers and future sales.